Whey protein low in carbohydrates and fats. With creatine, Alanine, Glycine, Taurine and digestive enzymes. What is Nitro-Tech Performance Series? Nitro-Tech Performance Series of Muscletech is an excellent protein source made of whey protein enriched with Creatine Monohydrate and Amino Acids. This formula is designed for sportsmen and athletes who need an optimal recovery after the training session to also face upcoming events in perfect conditions. Nitro-Tech Performance Series is available in delicious flavours, its easy to dissolve and it provides an excellent texture. Nitro-Tech Performance Series will make you notice results since the very first day. Whey protein is the protein source with the highest Bv, which means the amount of essential amino acids it contains, as well as the utilization degree by our organism. In this regard, whey got the number one position so we can figure how important it is for sports and active people. This whey protein includes Whey Protein Isolate, which is the protein that delivers the highest amount of protein per service with the lowest percentage of lactose and fat. Its manufacturing process is what keeps protein fractions intact, proviging important health benefits: immune system support, anti-inflammatory action, antimicrobial, antiviral, antioxidant, gut flora improvement, intestine system improvement, iron transport, etc. Whey Protein Isolate is the purest protein with the greatest proteic proportion, having the highest biological value, which means it contains the whole amino acid profile (essential and non-essential) besides being an easy digestion protein. Each serving of Nitro-Tech Performance Series contains protein from Whey Isolate, ultra-filtered Whey Concentrate, and a part of Whey Isolate Hydrolysate with just 1g of carbohydrates and 1.5 of fat, almost insignificant values. Nitro-Tech Performance Series has been manufactured using a filtration method called 'Multi-Phase Filtration Technology' to reduce the content of fat, lactose and other traces. 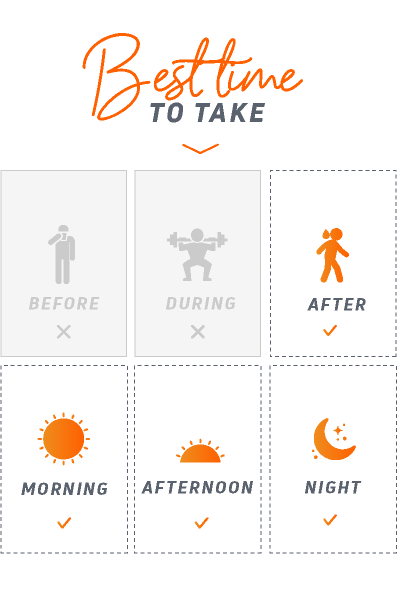 This is an ideal feature that everyone looks for in any product theyre going to take after training, among other moments. After the training session, ideal que buscamos en un producto que lo vamos a tomar, entre otros momentos, nitrogen recovery and readjustment will start up by supplying elements specially destined for such processes. Protein and amino acid release will occur very fast, getting into the bloodstream and muscle fibre in a very short period of time. Thanks to the digestive enzyme complex composed of Papain and Amylase, they will be a strong support to enhance protein digestion, as well as a better utilization. Protein is important, but we can still improve its later digestion and absorption. This is one of the main aids to improve strength and muscle recovery. It participates as energy substrate to contribute to supporting high intensity and short periods of time. One of the main functions is to keep ATP deposits for a quick absorption between training series. This is the second most used amino acid in protein synthesis processes besides being the most used to produce glucose during the training session. This amino acid participates in biological processes, stimulating structure and component formations in our organism, such as proteins and creatine, and it even supports cellular hydration. This is a 3 amino acid group: Leucine, Valine and Isoleucine. They make up around a third part of skeletal muscle and are involved in the recovery processes and protein synthesis stimulation. This a non-essential amino acid, that is, in some occasions like high intensity training and muscle wear, its synthesis process can get affected. Its intake will quickly increase plasma levels and enhance the hormonal environment for a correct process of muscle regeneration. Thanks to its high protein content and its excellent aminogram rich in BCAAs (branched-chain amino acids), along with Glutamine, it will get supplied with essential nutrients for protein synthesis and fibre regeneration. Facing intense activities, we can provoke micro-tears. If we quickly take part in this physiological damage, it will be mitigated and will shorten the recovery process, which is something ideal to keep up with training. Each serving of Nitro-Tech Performance Series contains 3g of Creatine Monohydrate to restore ATP. This is the energy substrate for high intensity and short duration exercises. This combination of whey protein and creatine enhances great strength results. Motor unit recruitment (muscle fibres) produces a high emptying of muscle energy deposits. Therefore, if we quickly refill them, potential energy will be again available for use. Muscle growth is preceded by a correct and appropriate stimulus that is to generate a series of muscle adaptations. Among these adaptations we find the alteration of the entire neuromuscular system, besides enhancing hypertrophy - in case we train to that end -. Amino acids will be the units required by our organism to start reconstruction and muscle growth phases. Nitro-Tech Performance Series, Who Benefits? Nitro-Tech Performance Series can be used by both professionals and amateurs who are seeking to satisfy their nutritional demands, an optimal recovery and a quality muscle growth. In addition, those who rather consume a protein source of the best quality, fat-low and highly pure to help body composition, will hit the nail on the head by choosing Nitro-Tech Performance Series. 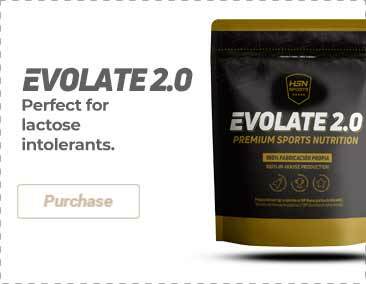 Protein isolate and peptide blend (whey protein isolate, whey peptides, whey protein isolate 97%), whey protein concentrate, birthday cake flavorings (sugar, corn syrup, corn cereal, corn starch, hydrogenated palm oil), flavorings, gum blend (cellulose, xanthan gum, carrageenan), Enzyplex (papain, amylase), salt, sweeteners (sucralose, acesulfame-K), emulsifier (soy or sunflower lecithin), anti-caking agent (silicon dioxide). It contains milk and soy. Produced in a facility that processes egg, wheat, peanuts, nuts, fish and crustaceans. As a food supplement, take 1 dispenser (36g) with 118-177ml or mix 2 tablespoons with 236-354ml of cold water or skimmed milk in a glass or shaker. Use between main meals and after exercise. Drink between 8 to 10 glasses of water a day. For better results, take 4 tablespoons of NITRO-TECH ® Performance Series a day for a minimum of six weeks. For adults only. Do not take if you are pregnant, if you suspect that you are pregnant or during lactation. Keep in a cool and dry place.